Former Mossad chief Tamir Pardo warned on Tuesday that the polarization and division in Israeli society could lead to a civil war. "This internal threat should concern us more than external threats," Pardo said. "If a divided society crosses a certain line, a civil war becomes a possibility in the most extreme scenario. I'm concerned we're heading in this direction. "At the end of the day, there is more that unites us than divides us, but there are those within Israeli society who prefer to emphasize what divides rather than what unites us. I can't put a finger on one group or leader; (this phenomenon) exists among all sectors in the country." "A state is a combination of unity and individuality," he continued. "We each have our own unique characteristics, but we also have things that unite us. Some want to apply their unique characteristics to the entire society—and they fail." Pardo concluded by saying, "We live in a world dealing with a serious problem of distrust between the citizens and their governments. Take, for example, the referendum in Britain several months ago. After all, if you look into how many among the population truly understand the ramifications of leaving the EU, you won't even reach one percent. The same applies to the primary elections in the US. We need to be careful not to end up in a similar situation." Pardo was speaking alongside Brig.-Gen. (res.) Amal Assad and Brig. Gen. (res.) Ram Shmueli at a press conference held ahead of a march in memory of fallen Druze IDF soldiers. The march will be held on September 23 in Daliyat al-Karmel. Former Minister Ben-Eleizer was in the middle of bribery and fraud hearings when he passed away; now, the prosecution has to give back all of the evidence they collected - including cash and houses - back to Ben-Eliezer's estate. Benjamin Ben-Eliezer quit the race to become President of Israel and the last minute two years ago following an investigation being opened up against him on charges of bribery to the tune of millions of shekels from various Israeli businessmen, fraud, and breach of trust. This investigation led to an indictment against him and the people close to him, including businessmen Avraham Nanikashvili, Djeki ben-Zaken and Roy Motzpi. According to the indictment, from 2007-2014, Ben-Eliezer received large sums of money from these businessmen while he was a minister in the Knesset. He obtained the money in order to buy homes, including a large home in Jaffa with a seaside view which is worth millions of shekels. Ben-Eliezer claimed that he couldn't stand trial due to his poor health and requested to delay the trial. The Attorney General denied the request, but Ben-Eliezer still didn't go to any of his trial dates, each time blaming his deteriorating health. In the end, it was decided that Ben-Eliezer could not stand trial and could not testify. Fuad's prosecutors claimed on Sunday that the prosecutors must return everything they took from Ben-Eliezer's estate, including hundreds of thousands of dollars in cash and various real estate assets. 'The day he was injured, he wanted to calm tensions down, but in the end, he paid with his life,' family member says of 28-year-old Hilal Masharqeh. 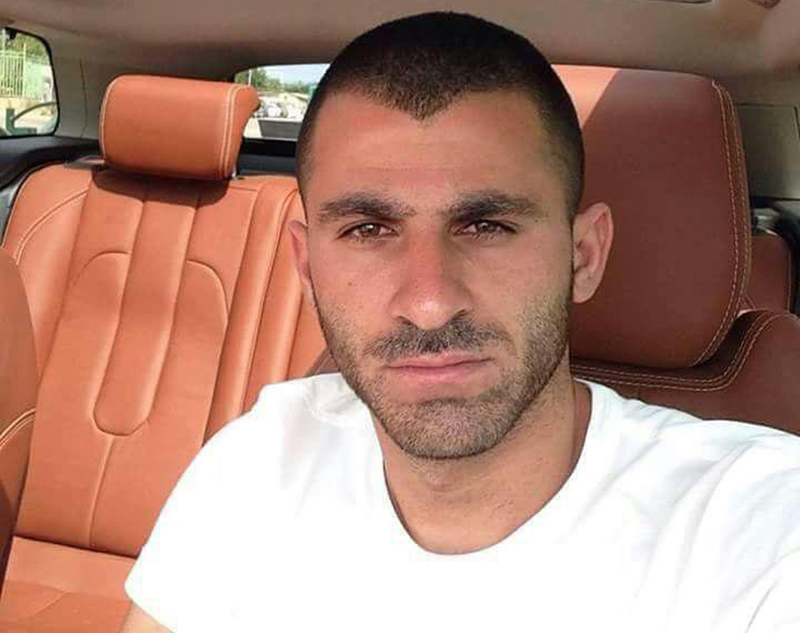 Hilal Masharqeh, 28, a resident of Hadera, who was stabbed while trying to break up a fight between Jews and Arabs in Givat Olga last week, died at Hillel Yaffe Hospital on Sunday. His body was sent for an autopsy to the Institute of Forensic Medicine at Abu Kabir. Masharqeh was rushed to the hospital after being stabbed in the upper body. Family members said he was stabbed while attempting to break up a fight between young family members of his and young Jews. A family member said, “He wasn’t involved in anything. He got stabbed in the neck and wounded very seriously. Since the start of the year, 41 people have been murdered in the Arab sector, including 5 women. The police said the investigation was transferred to the central unit of the beach district and currently, there are no arrests in connection with the crime. 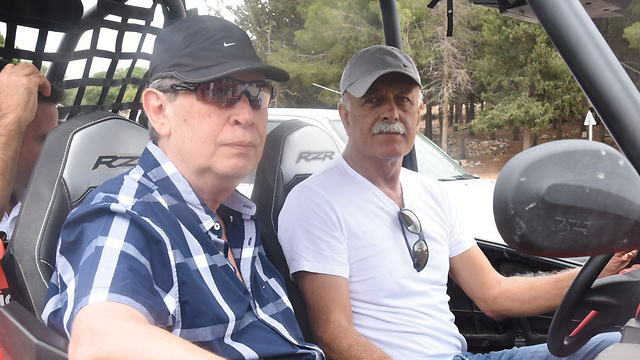 Former Minister Ben Eliezer, who served as the Coordinator of Government Activities in the Territories, Defense Minister, and Deputy prime Minister amongst other positions, passed away on Sunday at Asaf Harofeh Medical Center outside of Rishon LeZion. 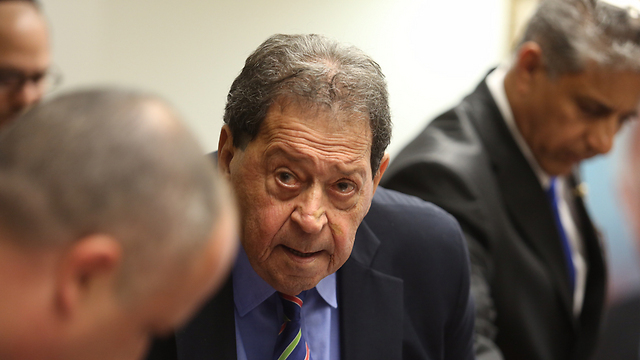 Former Minister Benjamin Fuad Ben-Eliezer died on Sunday at the age of 80. He was one of Israel's most prominent and respected politicians for the past 30 years, and held various positions such as defense minister and deputy prime minister. The politician was hospitalized two weeks ago at the intensive care unit of Asaf Harofe medical center outside of Rishon LeZion, and was transferred to the heart center of the hospital following evidence of a heart condition. Benjamin Fuad Ben Eliezer was born in Basra, Iraq in 1936, and immigrated to Israel in 1950 when he was 14 years old. He joined the IDF in 1954 at the age of 18 to the Golani brigade where he became an officer. He was the commander of the Shaked Unit, which operated in the Southern Command. A year later, he was injured when the Jordanian military attacked a helicopter he was flying in. Ben-Eliezer served as deputy battalion commander during the Yom Kippur War, and was appointed battalion commander of the IDF brigade responsible for protecting the Lebanese border. By the mid 1970's, he was appointed to be the first commander of South Lebanon and was tasked with building the South Lebanese Army (SLA). Between 1978-1982, he was the commander of the Judea and Samaria region. He retired from the IDF in 1982, but was called back into service by then Defense Minister Moshe Arens. He served as the Coordinator of Government Activities (COGAT) in the West Bank and Gaza, until his final release from the military in 1984 at the rank of brigadier general. Entry into PoliticsBen-Eliezer established a new political party called "Yahad" with Ezer Weitzman in 1984. He served on the Foreign Affairs and Defense Committee following the elections, and then was appointed to be the Housing and Construction Minister under Yitzhak Rabin. In 1994, Ben Eliezer went on an official delegation with Rabin to Tunesia, where he became the first Israeli minister to ever meet with PLO Chairman Yasser Arafat. He became deputy prime minister to Ehud Barak in 1999, and also served as communications minister. He then served again as Minister of Housing and Construction. After Barak lost the 2001 elections to Ariel Sharon, Ben-Eliezer was chosen to be minister of defense. The security fence in the West Bank was built under his watch. In 2005, Ariel Sharon chose Benjamin Fuad Ben-Eliezer to be the minister of national infrastructure in 2005. After a brief break, he returned to the position under Ehud Olmert's premiership. He contracted pneumonia in March 2011 and was put into a medically induced coma, eventually making a full recovery. He was re-elected in the 2013 elections, but resigned from the Knesset for health reasons in December 2014, and was replaced by Raleb Majadele. Ben-Eliezer continued in public service and was elected to the Knesset again in January 2013. Amongst other things, he was a member of the Foreign Affairs and Defense Committee. In 2014 he was the Labor party candidate for President, but resigned from politics following a police investigation. He claimed that "it seems someone tried to politically assassinate me." An indictment was filed against him in 2015 on charges of bribery, money laundering, fraud, breach of trust, and tax evasion. The prosecution claimed that he received a $400,000 bribe when he was the Trade and Industry minister, and NIS500,000 in order to buy a home. Former Defense Minister Moshe Ya'alon mourned Ben-Eliezer, saying "(Ben-Eliezer) symbolized the ingathering of the exiles in their own land. In every position he filled on the battlefield, Fuad was a leader with a cool head and full of initiative, but above all he was a man amongst men. He always knew how to be sensitive and attentive, warm and loving, and his door was always open. I served underneath Fuad when he was the defense minister I was deputy IDF chief of staff and IDF chief of staff. In his days as defense minister, the IDF fought against raging Palestinian terrorism. We hit them, and began to change the reality on the ground, bringing about a relative calm, something which we still feel today. Everyone who met Fuad fell in love with him immediately. His warmth crossed sectors, ethnic groups, and religions. May his memory be a blessing. “You deserve to see your loved ones suffer and die. But, maybe, you would be hurt before them,” was part of a threatening message received by a staff member at ‘Al-Mezan’, a Gaza-based human rights group. But even before these dates, the war on independent rights groups was already heating up. Restrictions on Israeli NGOs, especially those that challenge the Israeli Occupation of Palestine, are fairly recent. However, pressure, violence, restriction on movement, raiding of offices and arrests, have been a fixture of Israeli policy against Palestinian rights groups. The most recent episode is only one example. “Since September 2015, several of the organizations have faced ruthless smear and intimidation campaigns seeking to discredit them and stoke insecurity among their staff,” Amjad Iraqi wrote in Israel’s +972Mag. The ‘NGO Law’ is now in effect. It forces NGOs to declare their sources of funding and punishes those who refrain from doing so. It also levies heavy taxes on such funds, even when declared. The European Union, along with the United States Government warned Israel against such laws, but to no avail. The bill is written in too broad a terminology, thus making it possible for the government to target such organizations without appearing vindictive or politically-motivated. “What is happening in Israel now is fascism,” said David Tartakover, who was quoted in the British Guardian newspaper. Tartakover, the artist who designed the logo for the Israeli ‘Peace Now’ campaign in the late 1970’s described ‘a slow creep of limitations’ that began in 1995 (following the assassination of Prime Minister, Yitzhak Rabin, at the hands of a Jewish extremist), but one that accelerated in the last year. With the ‘most rightwing government’ in Israeli’s history now in charge, and an equally hawkish parliament, the foray of contentious bills are likely to continue. However, while Israel’s own organizations, rights groups and dissenting artists are targeted by bans, fines and withholding of funds, Palestinians are threatened with much more severe consequences. “Everyone from delusional Hollywood celebrities to cabinet ministers, to the leader of the Opposition have pledged fealty to the cause,” he wrote. Top officials included Intelligence Minister, Israel Katz, who called for the “civil targeted killing” of BDS leaders like Omar Barghouti. According to Silverstein, the phrase Katz used is “sikul ezrahi memukad” which “derives from the euphemistic Hebrew phrase for the targeted killing of a terrorist, which literally means ‘targeted thwarting’.” Working hand in hand with various western governments, Israel’s official perception of the non-violent BDS movement is reaching the point of treating the civil society movement as if a criminal organization. BDS merely demands moral and legal accountably from western governments and corporations that contribute in any way to Israel’s violations of human rights and international law. The recent death threats against rights activists who are pressing for respect of international law and for justice for thousands of Gazan civilians killed during recent wars is a natural progression of Israel’s relentless efforts. While restricting the work of independent rights groups is quite common by Middle Eastern governments, Israel’s campaign is most dangerous for it receives little media coverage and, at times, outright support from the US and other western governments. The latest of these was the recently passed legislation at the Democratic-led Legislature in the State of New Jersey, which was signed by Governor, Chris Christie. New Jersey is now the latest of US states that outlawed BDS and vowed to punish any company that joins the boycott of Israel campaign. With little or no accountability, Israel will continue with its fight targeting NGOs, threatening activists and restricting the work of anyone that dares to be critical. Dr. Ramzy Baroud has been writing about the Middle East for over 20 years. He is an internationally-syndicated columnist, a media consultant, an author of several books and the founder of PalestineChronicle.com. The Israeli government on Thursday rejected a UN request for diplomatic immunity for a Palestinian engineer who worked for the UN in the Gaza Strip, but is now in prison after being accused of assisting the territory's Islamic militant Hamas rulers. 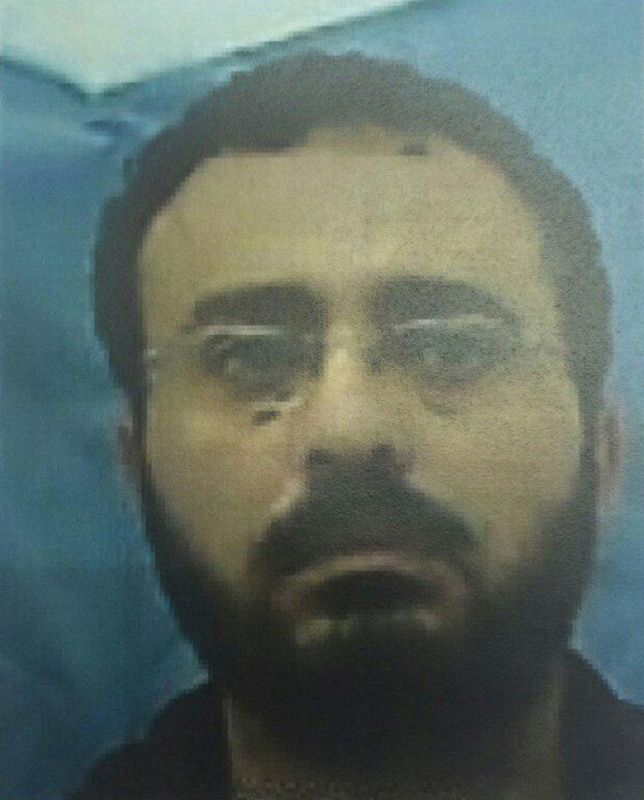 Israel arrested 38-year-old Waheed Borsh, who worked for the UN development agency (UNDP), on July 16 on suspicion of aiding Hamas. The government announced on Aug. 9 that he had been indicted on charges of assisting the militant group. Israel's Foreign Ministry spokesman Emmanuel Nachshon said, "Israel rejects the claim that a person assisting a terror organization recognized by the international community such as Hamas could enjoy immunity." Israel's Shin Bet intelligence agency said that Borsh used UNDP resources last year to build a marina for Hamas' naval forces. In addition, the Shin Bet alleged that at Hamas' request, he persuaded his managers to prioritize the reconstruction of houses damaged in conflicts with Israel in areas where Hamas members lived. UNDP said in a statement on Aug. 9 that it was "greatly concerned" by the allegations, that it was investigating them, and that it has "zero tolerance for wrongdoing" in its programs and projects. Nachshon said the UN suddenly claimed in a letter Wednesday that Borsh is entitled to diplomatic immunity. The claim was examined by jurists who determined it is "unsubstantiated," he said. "It is outrageous that a man assisting a terror organization could benefit from UN immunity," Nachshon said. "It is clear that immunity is not a license to commit acts of terror." Israel's UN Ambassador Danny Danon said the UN legal office claimed that any UN employee should receive diplomatic immunity from local authorities and that until Borsh's release from prison, he should be granted visits by the organization. Shortly before Borsh's arrest, Israel charged the Gaza manager of the international charity World Vision for allegedly funneling millions of dollars to the group. Danon said he has been in touch with international aid organizations operating in Gaza and advised them that, "Any dollar spent, and any local hire by an international organization, must be monitored to ensure they fulfill the purpose of aiding the residents of Gaza and not fund terror activities."